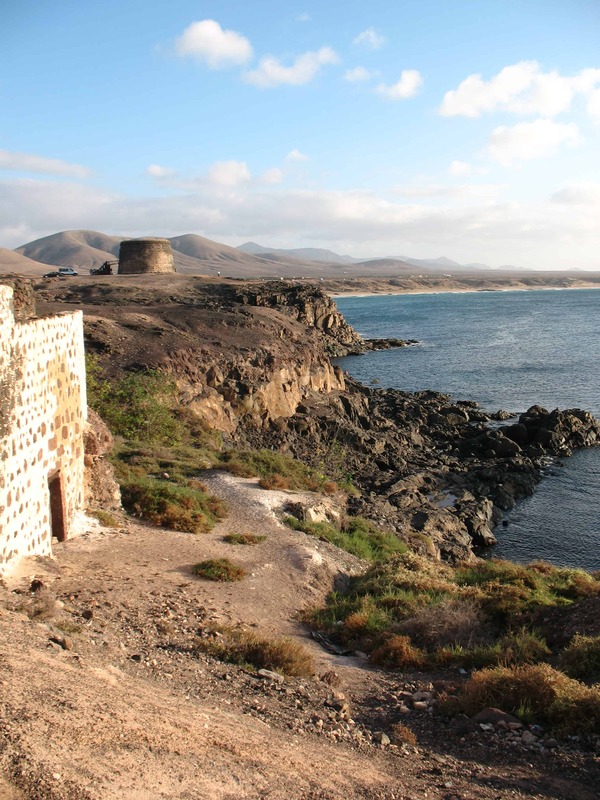 El Cotillo is on the north-west coast of Fuerteventura. It was once a sleepy fishing village, and has obviously expanded since then, but fortunately it has retained its heritage and charm. El Cotillo has been loved for many years by people who want a quiet, laid-back holiday, away from the hen and stag nights, football shirts, night clubs and drunken behaviour. Many start off by coming to Fuerteventura and staying in Corralejo but then discover El Cotillo on a day trip and then end up staying here in future. That is what happened to us anyway. It is a quiet, relaxing, place with just enough bars and restaurants to try somewhere new almost every night of a two-week stay. To the north are the famous Cotillo lagoons, which are a series of beaches with very sheltered and safe swimming, that stretch to the lighthouse and beyond. Great for snorkelling and for families but plenty of space for some seclusion and naturism too. See the beaches of El Cotillo post. To the south is Piedra Playa, known locally as the “Surfer’s” or “Wild” beach, which is very popular with those who love all forms of surfing – board, wind and kite. Surf and kite-surf schools operate here too so if you want to learn that is not a problem. It is also a wonderful beach to walk along, paddle or swim in, but only when the lifeguard flags advise. Beyond this are other wonderful beaches, accessible by car, where you might spend all day on your own.